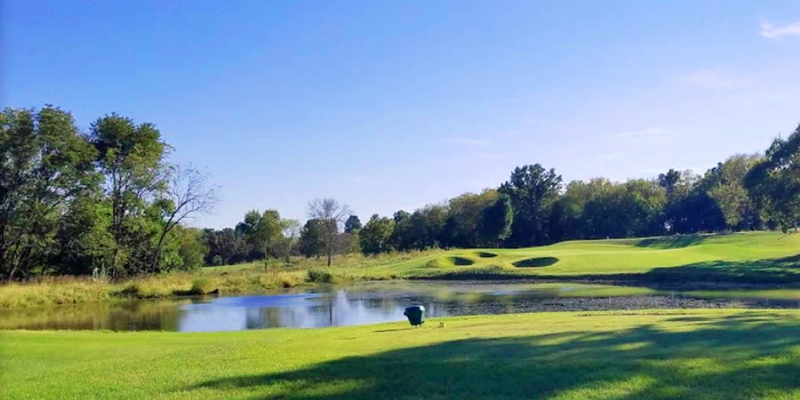 Paradise Pointe Golf Complex is Kansas City's only public golf facility that offers two challenging 18 hole golf courses plus a 4 hole Academy course. The Posse course (our original) features bluegrass fairways, rolling terrain and beautiful lake views. The Outlaw course features zoysia fairways, large greens and more beautiful lake views. Paradise Pointe consistently strives to offer golfers of all abilities a unique golfing experience. 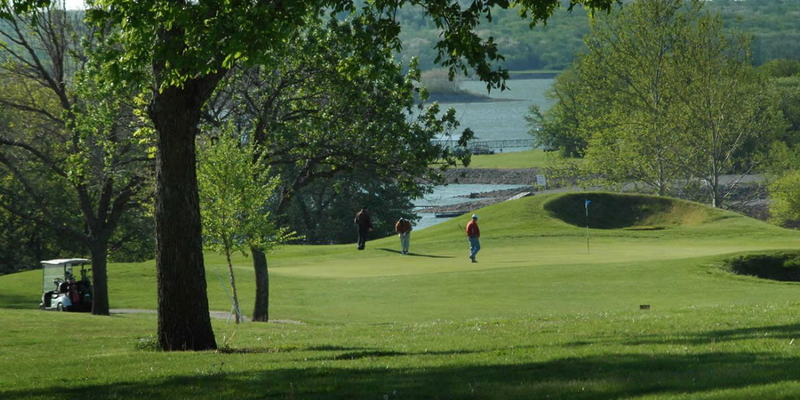 Each of our courses offer exciting views of Smithville Lake along with its natural wildlife habitats. The courses were named in homage to Jesse James, a native to this area. Records show that the James Gang actually lived and frequented this area long before there was a lake. If Jesse were alive today, he would not recognize the lake, but could still navigate the hills and valleys in our area. In fact, he might be able to find one of his old hideouts. Please call 816-532-4100 for current rates. Call 816-532-4100 for rates and tee times. Contact Paradise Pointe Golf Complex at 816-532-4100 for more information and details on holding a golf outing at the course. Paradise Pointe provides the perfect setting for all occasions, including receptions, tournaments, holiday gatherings, corporate outings, and any special events. Our 4,000 sq. foot private banquet room accommodates up to 275 guests. Paradise Pointe's clubhouse offers a breathtaking backdrop of one of our 18 hole golf courses and beautiful Smithville Lake. The spacious banquet room offers a large deck overlooking the 15th and 18th holes. You want everything to be perfect for that special day and Paradise Pointe wants to help make it perfect for you. Our staff will give special attention to your needs in order to make your day memorable. Paradise Pointe offers a variety of menu options, beverage options and amenities for your every need. Contact Paradise Pointe Golf Complex at 816-532-4100. Contact Paradise Pointe Golf Complex at 816-532-4100 for onsite or nearby dining options. Watch the Paradise Pointe Golf Complex Video. This profile was last updated on 12/19/2016 and has been viewed 7,574 times.